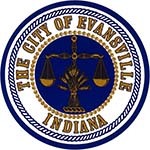 If you are reading this blog, you probably know that HOPE of Evansville is a HUD-certified Housing Counseling Agency. What you may or may not know is what that means. The Department of Housing and Urban Development (HUD) has overseen the federal Housing Counseling program for over 50 years. Begun in 1968, the program oversees agencies involved in a number of housing services, including pre-purchase counseling, post-purchase counseling, and foreclosure prevention. Every year more than a million America households are helped through the network. The question remains how effective Housing Counseling services are for participants. Several studies have been conducted to determine just that. In September 2017, HUD published a summary of the findings. Listed below are some of the statistics cited in the report. In short? Housing Counseling is proven to help client obtain and keep housing while improving their financial situation. Best of all, all services are no- to low-cost. As a HUD-certified counseling agency, HOPE of Evansville assists over 100 clients per year purchase their first home, get their credit in-check and prevent foreclosure. Our housing counselors, Tony Ajibade and Kathy Duncan, receive regular training to keep them up-to-date on the best ways to serve our clients. Call us at HOPE of Evansville at 812-423-3169 to learn more about Housing Counseling and the specific services we offer.